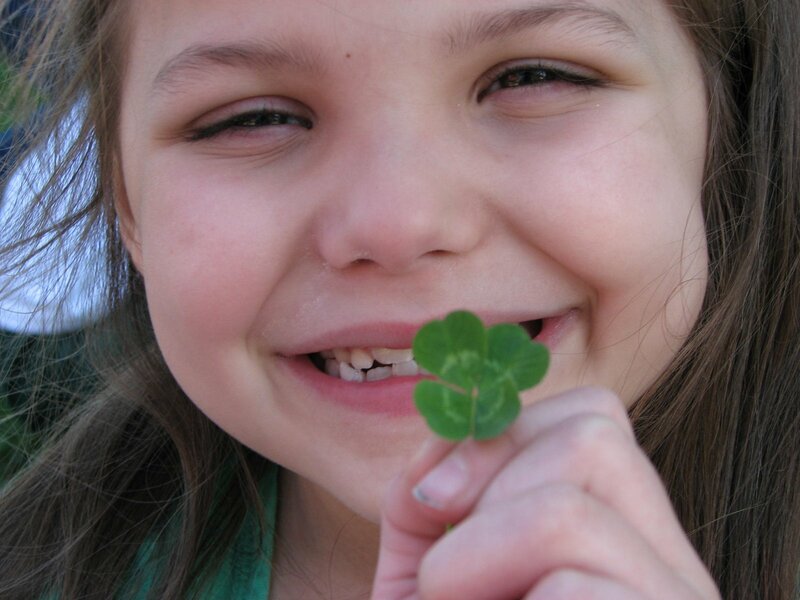 What are the odds that a girl could find a four leaf clover on St. Patrick’s Day? Lucky duck!! !Take her luck and go enter my tutu giveaway, get a chance to win one for your new babe. or the others princesses! That is so very lucky!!! What a beautiful girl. AMAZIN’How ya feeling little mama? No way!! Put that in a locket or something. Keep it FOREVER! !Very cool. I still have a four leaf clover that Logan found many years ago. Ah, memories of childhood. That is awesome! and that picture is beyond cute! love it love it!!! i found one too, and I have it on my cell phone, but do not know how to share it to the computer~!! I love it!! !